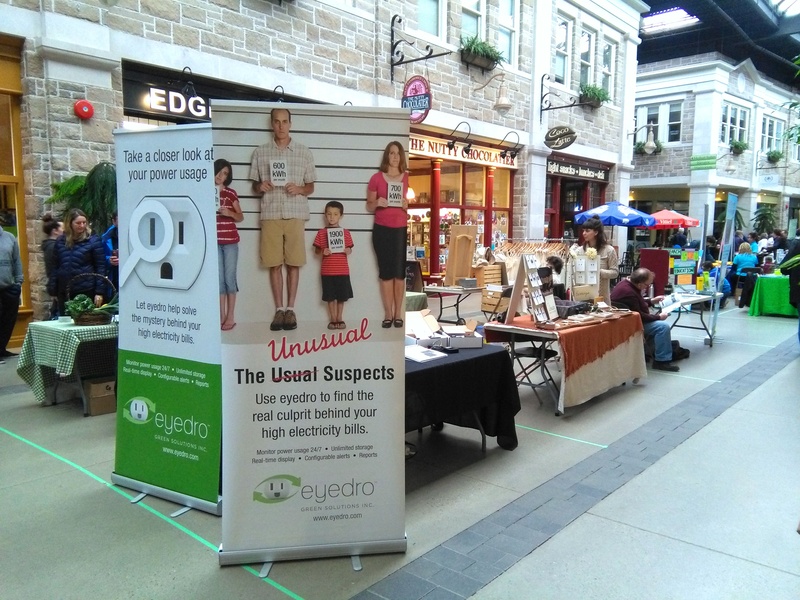 Visit Eyedro to learn how our electricity monitoring systems can help you with your energy reduction initiatives at home and at work. Green ideas from a great lineup of vendors. Bring the family out to discover some innovative green energy and sustainability products and services. 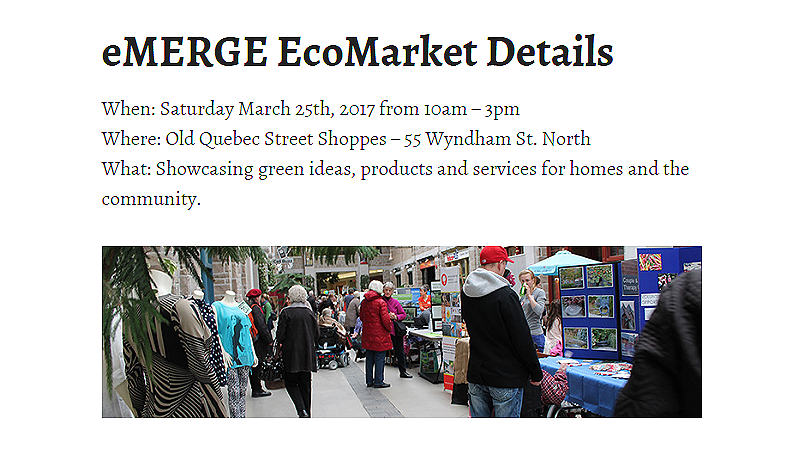 Guelph eMERGE EcoMarket Details and participating vendors. The Guelph EcoMarket – showcasing a great roundup of green ideas companies in an awesome venue!